All of us are aging. And occasionally we get sick. Why? Well, think of your body as a machine, one that produces energy to sustain life. Like any machine, it requires proper maintenance or it will break down. Researchers have discovered a nutrient that is absolutely vital to that maintenance. It is called Co-enzyme Q10 (COQ10 for short). Found in every cell in our body, CoQ10 is the catalyst for energy production at cellular level and without it, no energy is produced and cells die too. Our bodies contain a mere 2 grams of this elixir of life, with greater concentration of it in the heart, liver and immune system. Free Delivery anywhere in Singapore only. Studies have shown that patients with cardiac problems suffer a CoQ10 deficiency. The greater the deficiency the greater the severity of the condition. Therapy with CoQ10 was discovered to result in a profound increase, both in cardiac function and quality of life for the failing cardiac patient. Other researches have called it ‘the miracle nutrient.’ Studies into the immune system have uncovered startling evidence of the effectiveness of CoQ10. To fight off infection and disease, our body channels energy into immune-cell production. This extra energy does not just materialise, it must be produced at cellular level. Without enough CoQ10, we cannot produce the energy we need to beat off the infection. Of course, today we have modern medicine to help, but drugs invariably weaken the immune system in the process. However a top-up of CoQ10 was found to significantly increase the level of antibody production, which in turn had another benefit, lowering the toxicity of man-made drugs, and their side effects. A series of studies in the 1980’s showed CoQ10’s ability to extend both the life and the quality of life in laboratory mice. When supplemented with CoQ10 they lived far longer and in better condition that those mice in the control group. The reasoning is simple. The immune system grows less effective with age, and additional CoQ10 builds this up, helping us fight and delay the onset of diseases we associate with aging like cancer, Alzheimer’s and arthritis. Insufficient levels of CoQ10 lead to degenerative health problems. Not all the evidence is in, but it seems likely that CoQ10 may well be the small miracle you are looking for. Most of the research into CoEnzyme Q10 revolves around its ability to protect the heart. It has been shown to protect the heart from damage from heart attacks as well as reducing the amount of tissue damage that occurs during open heart surgery. 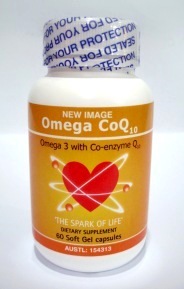 Therefore Co Enzyme Q10 is strongly recommended for people who have a family history of heart disease and more particularly for those known to have heart problems. A recent documentary on CNN reported that Co Enzyme Q10 taken two weeks before open heart surgery had dramatically positive effects on post-operative discovery. Many instances have shown that therapeutic doses of CoEnzyme Q10 actually enable the heart to repair and rejuvenate to such an extent that surgery was postponed or deemed unnecessary. A deficiency of CoEnzyme Q10 is common amongst cardiac patients. The heart is metabolically active and needs a constant supply of useable fuel for its rhythmically contracting and pumping action. It is unusually susceptible to effects of a CoQ10 deficiency. Studies suggest that CoEnzyme Q10 may benefit people with periodontal disease, diabetes, deafness, impaired immunity and in certain instances include the ability to lower high blood pressure. There are also extensive reports of CoEnzymes effectiveness in treating many forms of muscular dystrophy and myopathy. CoEnzyme Q10 has a dramatic improvement on the quality of life for people suffering from weakened skeletal muscles associated with these diseases. According to nutritional science, human beings could live to the age of 125 or more. This is a hard concept for people living in our society to grasp, as poor nutrition, lack of exercise and stress weakens the body’s resolve, making growing old a dreaded prospect. However there is a biogenic potential to live longer and healthier life. CoEnzyme Q10 has actually been shown to have direct anti-aging effects and may play a fundamental role in decelerating the aging process in general. As we age, the amount of Co-Q10 in the body diminishes, therefore, by supplementing the dwindling enzyme we can correct age-related declines in the immune system and increase energy and exercise tolerance. Periodontal disease accounts for more lost teeth in adults than any other dental problem. On average 1 person in 4 will lose all their teeth by 60. Gum disease occurs when plaque building on gums and teeth hardens to calculus (tartar). The gums pull away from the teeth exposing more area for plaque and subsequent calculus invasion. Eventually the gum can no longer hold the tooth in place. The diseased gum continues receding. CoQ10 has been observed to be effective in treating and reversing serious gum disease that conventional periodontal treatment, including extensive brushing and flossing could not. CoQ10 prompts the growth of healthy cells and fights the infection by strengthening the immune system. Co-Q10 is said to be the side-effect-free diet pill of the future. We put weight on because the body cannot metabolise or burn up the energy we ingest from food, instead storing it in fatty deposits. Excessive fat is a health hazard leading to complications, in the cardiac system especially. A 1984 Belgium study showed that obese people with a CoQ10 deficiency, were able to lose weight with relative ease when their diet was supplemented with CoQ10. REE Delivery anywhere in Singapore only. To view other products endorsed by Health Coach International, click here.